So I fell off the grid for a while and didn’t even share photos for a few months. An extremely common side effect of depression that comes and goes, so let’s not dwell upon it. Spring is around the corner, and the added number of daylight hours, among other things, has lifted my spirits enough to have me back in the game and binding books. The winter months were reserved for poetry related duties and exultations, but maybe now I’m ready to weave in some paper explorations as well. 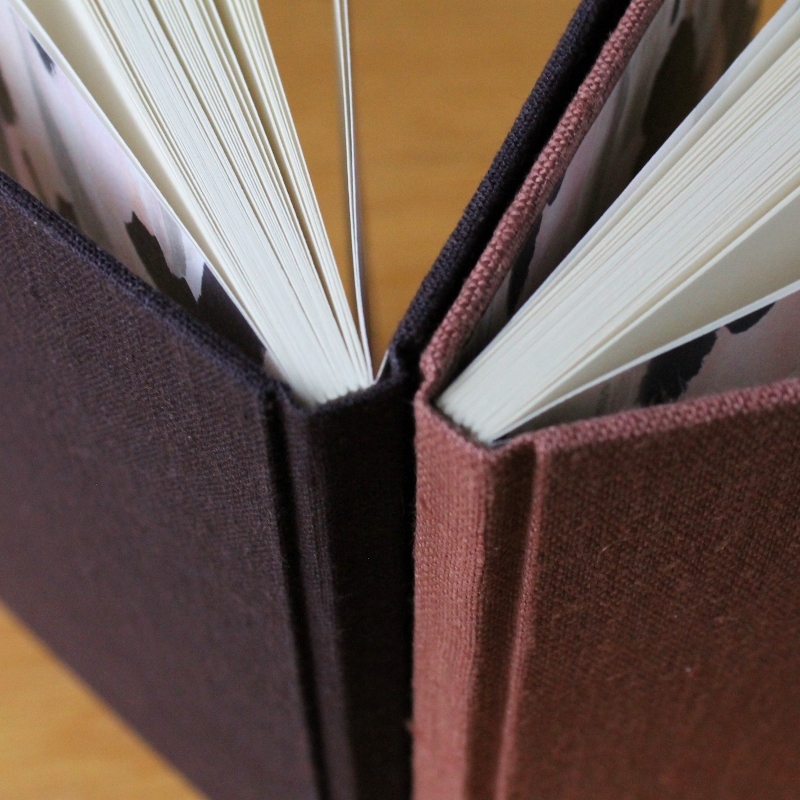 I wanted to start with some very basic bookbinding project so as not to demand too much from myself right away, just do the meditative basic work, and do it well. And with pleasure. A pleasure it was. 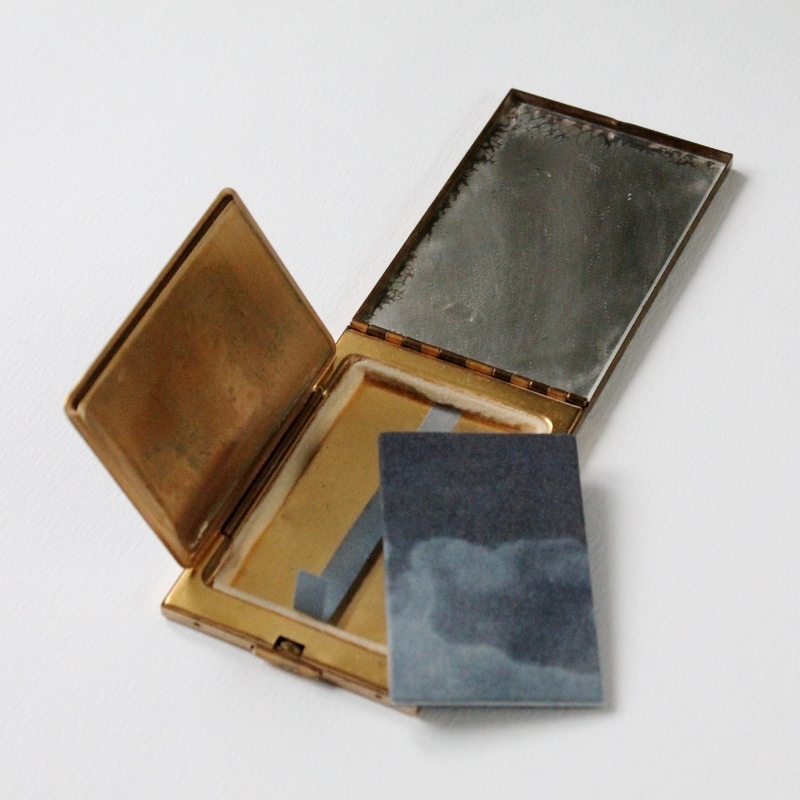 The first books were small landscape format notebooks and they were quickly followed by larger books twice their size. 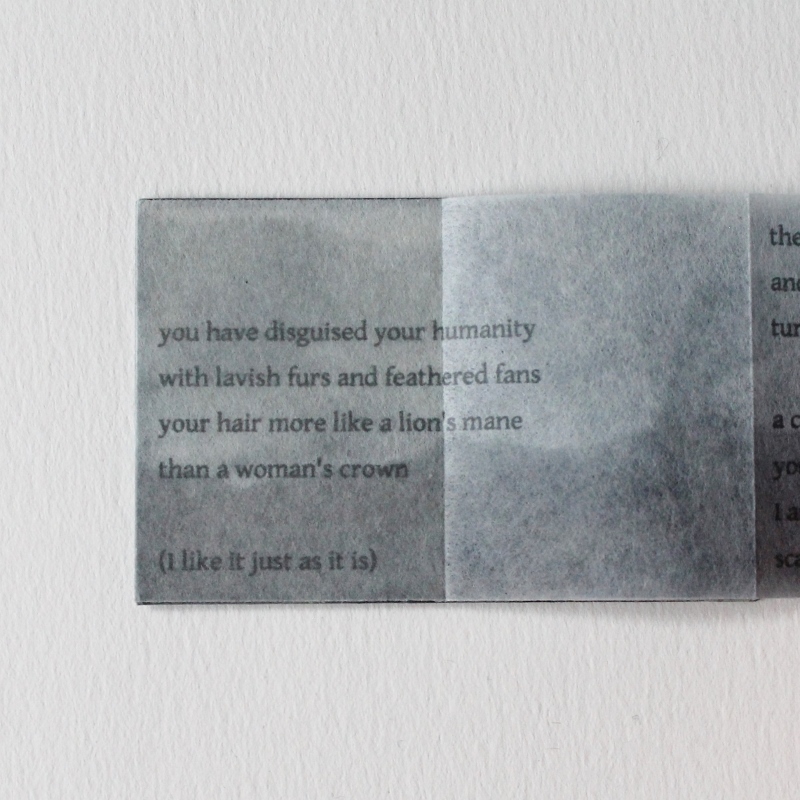 You can now find both types in the Paperiaarre shop. What next? Not sure at all. Maybe you have a suggestion or two? Sometimes life simply refuses to go as expected. This week my book Koko meren laajuus won probably the biggest literature award a poetry book can win in this country (some awards are for novels only). 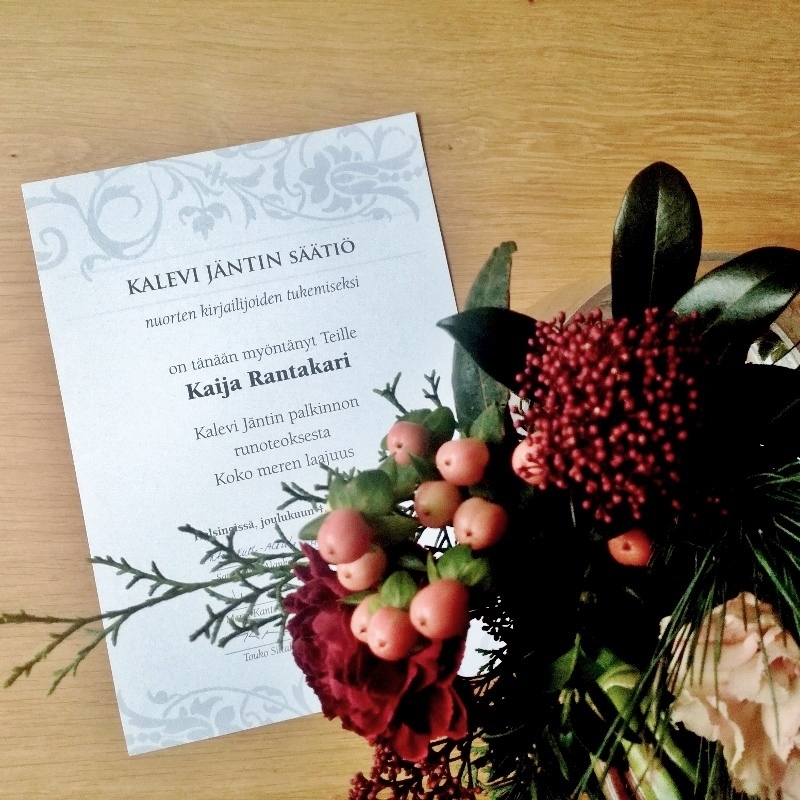 The Kalevi Jäntti award has been handed out annually (since 1942!) to the best young authors - this year four authors were awarded and I’m so honoured to be in some amazingly talented company. I’ve never even dared to dream of achieving things like this even though I take writing very seriously, but all of a sudden all that hard work has been noticed and awarded and it’ll take me a little while to wrap my head around it. For the time being I just focus on being happy and extremely grateful to everyone who has ever supported me (in everything I do). This week has been a week of wrapping things up in many ways. 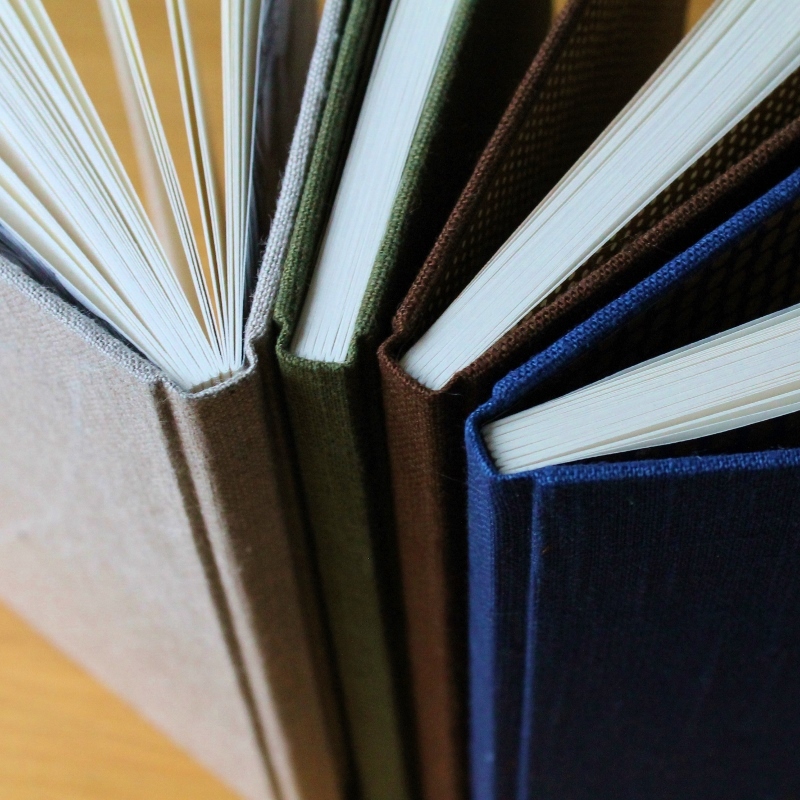 I finished the last books for the holiday season - most likely I’ll focus on mixed media and artists’ book project for the rest of the month. Today is the last day for North American customers to place their holiday orders, European customers have until the 13th, Finns until the 18th, so take a look at the Paperiaarre shop and see if you could give someone something made by hand with lots and lots of love. Something like a notebook with vintage bunnies, perhaps? I made another lot in new colours after the first ones were almost sold out in a day. Now I’m off to think new papery poetry things to do. Unsurprisingly, it’s absolutely hectic in here. Orders flying out the door (thank you!!!!) and new books coming out of the press. There’ll be a roundup post of the Office Hours later, but first I need to get out of this survival mode! These dates are based on recommendations by the Finnish postal service, but there's no way to 100% guarantee delivery in time for Christmas if something completely out of the ordinary happens during the holiday rush, so, it's always best to order as early as possible! Thanks so much for your support! It means the world to me have you guys use my books as vessels for your ideas - genious or not! 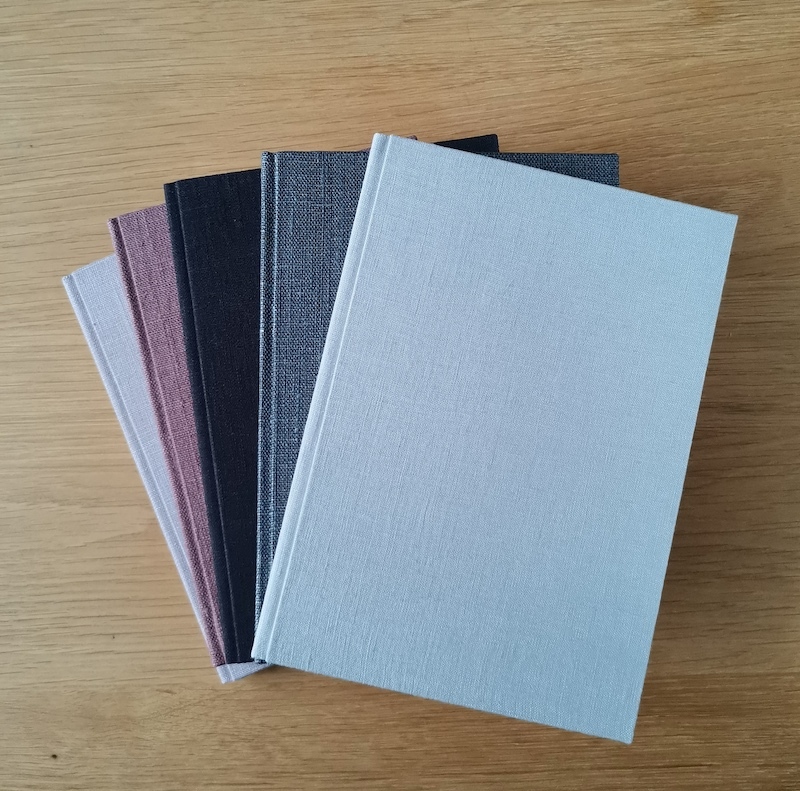 These four books have beautiful print endpapers and 4mm dotted grid pages - perfect for bullet journaling. You can find them here. This purple and pink duo has lovely brush stroke print endpapers and blank pages. You can find them here. 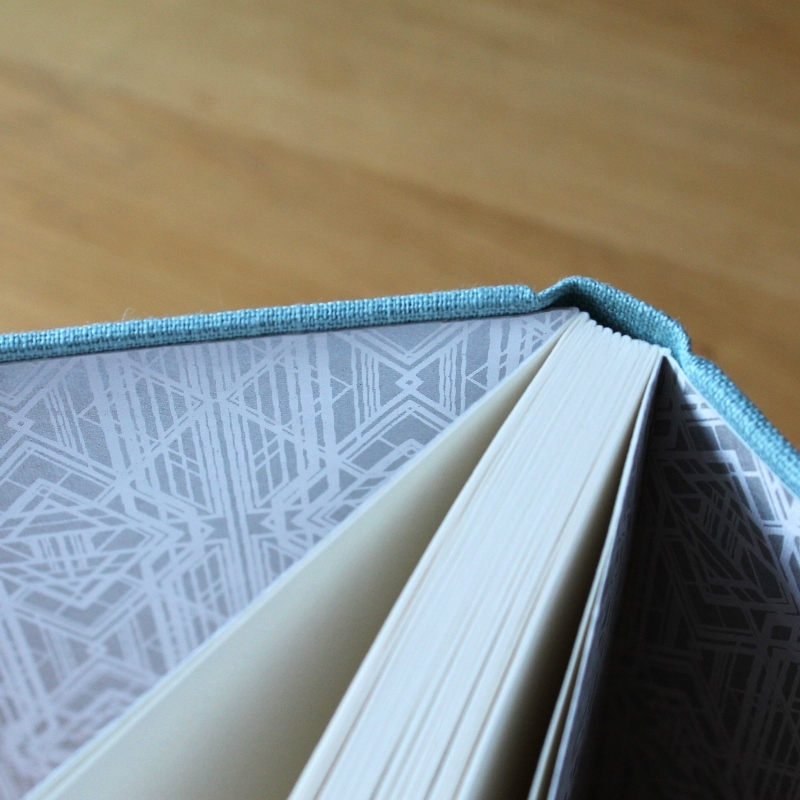 This turquoise one has tons of pages and some extraordinarily beautiful silver print endpapers. You can find it here. Now I’m off to perform a deadline miracle of sorts - my #areyoubookenough project is still miles and miles away from finished. It’s actually only a hair beyond being just an idea, but I’m still fairly confident I can make it happen tonight! I was caught by surprise when three out of four of these bunny books were sold within 24 hours. Now there’s still one darling pink one left for one lucky customer! The adorable bunny endpapers are an edited reproduction of a vintage endpaper pattern I fell in love with. 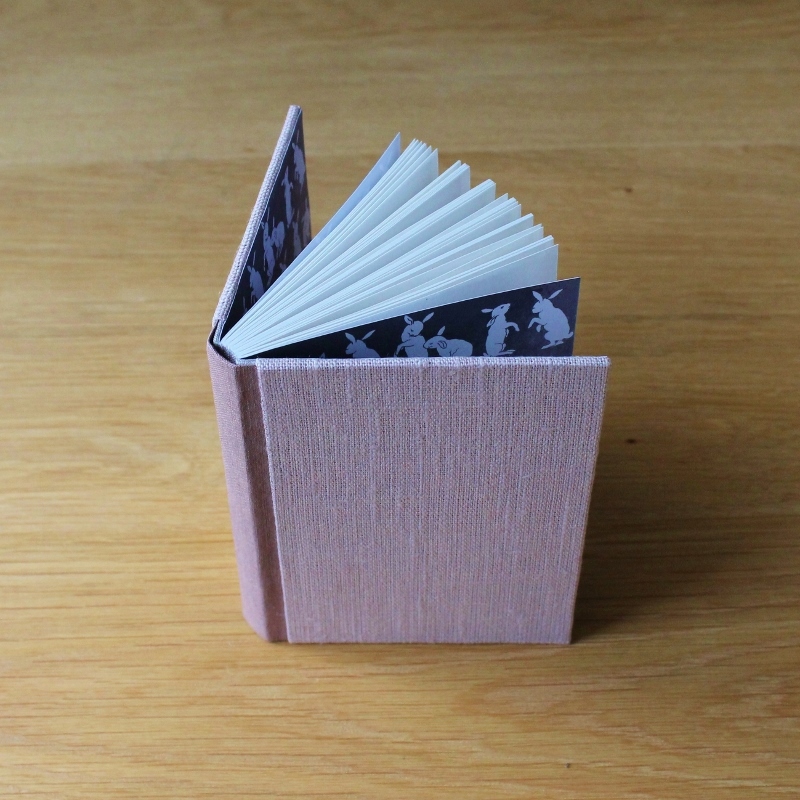 I hope to make some more of these bunny books in new colour combinations, but there’s still a few other things on my to-do list before I can get to those. 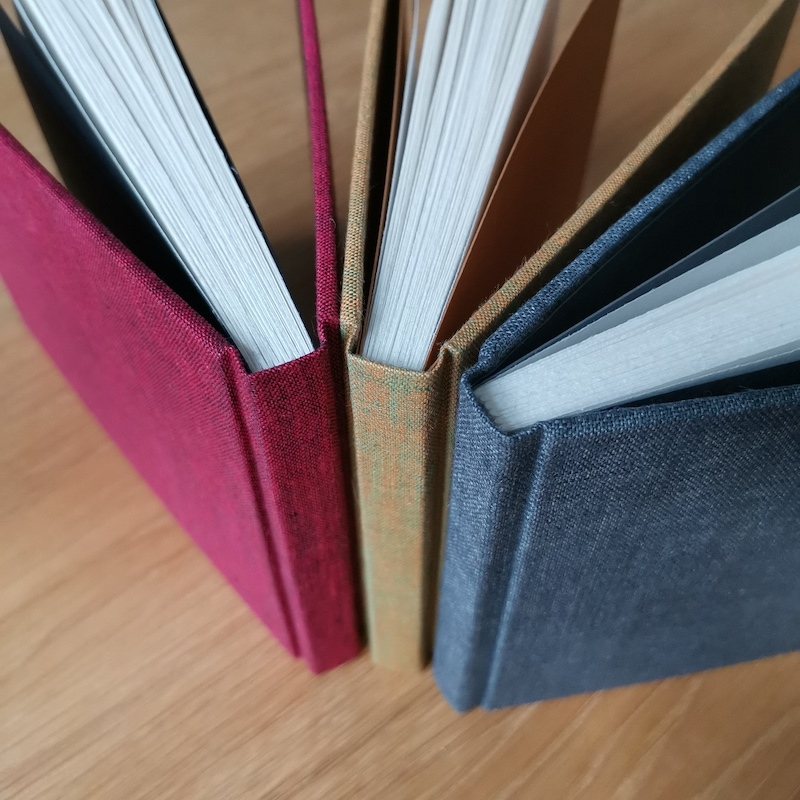 Just a quick reminder today’s the day when you can ask me all sorts of questions about bookbinding - see my latest Instagram post and ask your questions in the comments section. Later I’ll put together a blog post with all the questions and aswers, so even people who don’t do social media can benefit and all the info is easily found in one blog post. Please see the roundup post of previously asked and answered questions - you may find your question already answered!